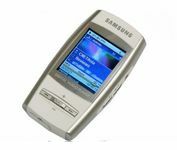 Jasmine France has reviewed this mp3-player from Samsung, the YEPP YP-D1. It'll make sense for those looking for a multitude of features above all else, this mp3-player isn't for everyone, she says. Samsung Electronics Co., announced today that it has developed a 2GByte MultiMediaCard (MMCmicroTM) that combines four 4Gbit NAND flash devices. This is the smallest, fastest and highest capacity memory card for mobile phones, developed only three months after Samsung led the industry by launching a 1GByte MMCmicro. “The 2GByte high-performance MMC is a powerful indicator of Samsung’s expanding efforts to embrace the widest possible range of multimedia applications including mobile video,” said Don Barnetson, Director, Flash Marketing, Samsung Semiconductor, Inc. Despite being the size of a fingernail (12mmx14mmx1.1mm), the new MMCmicro will provide the highest transmission speed of any removable memory card, transmitting data 3.5 times faster than other cards. The card can store 12 hours of mobile video and is fast enough to download three hours of it in under two minutes. An adapter allows the card to be plugged into any multimedia card slot. The 2GB MMC can operate at either 1.8 volts (V) and 3.3V, making it an even more viable solution for mobile phones. The new MMC, in a format standardized by the MultiMediaCard association (MMCA) and being standardized by JEDEC, can be obtained by manufacturers without royalties or licensing fees. The 1 GB MMCmicro will be commercially available in 2006. According to Dataquest, a semiconductor market research firm, as the global memory card market will grow five percent between 2005 and 2010, the multimedia card market will grow 17% and the MMCmicro market by 95 percent during the same period. 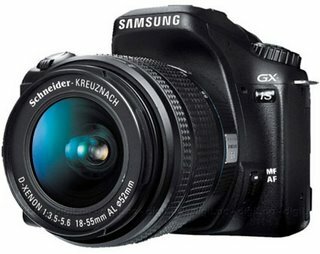 Philip Ryan has reviewed this digital camera from Samsung, the GX-S1. Most people will be happy with the Samsung GX-S1, especially if they are stepping up from a point-and-shoot, he says. 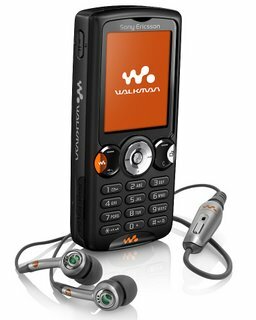 Kent German has reviewed this mobile Walkman phone from Sony Ericsson, the W810i. It's a quality phone despite some minor performance issues, he says.